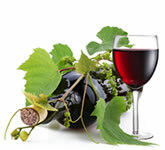 Enjoy the company of a knowledgeable, local wine tour guide at the wheel. Sit back, relax and take advantage of the most elegant and safest way to enjoy outstanding Central Texas wines. The Texas wine industry is one of the most popular destinations among wine connoisseurs - and plain ol' people, too! 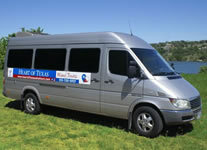 Call Dale at (512) 755-0937 to reserve your personalized tour of the Hill Country's best wineries and vineyards. Or visit Heart of Texas Wine Tours of Central Texas to learn more. And tell 'em Truly Texan sent you!